If you have not taken advantage of the opportunity to join our CD of the Month Club, we invite you to do so today! For a donation of $20 per month or $200 per year, you can partner with us in our worldwide ministry. 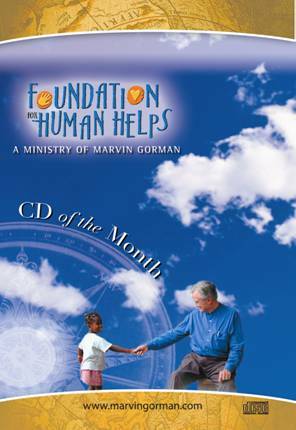 Each month you will receive a CD of Marvin Gorman's sermon, along with a written message from Virginia, delivered right to your home address. You may sign up and pay for your first month by clicking on the FFHH BOOKSTORE on our menu bar. If you would like to pay for an entire year please click on the DONATIONS button on our menu bar. Please be sure to enter "CDOM" in the "Purpose" field.